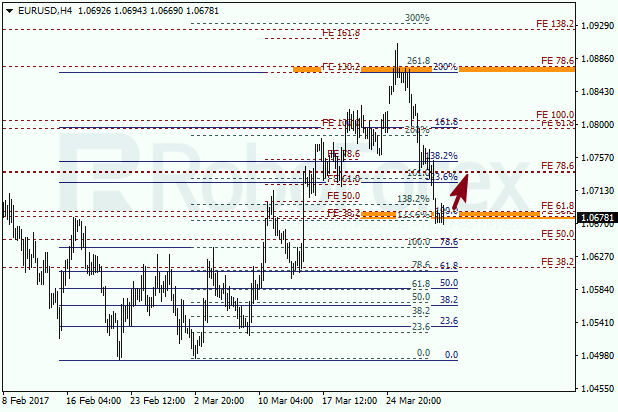 The EUR/USD pair reached the group of fibo-levels at 1.0680. If the price rebounds from this area, the market may start a new ascending correction. 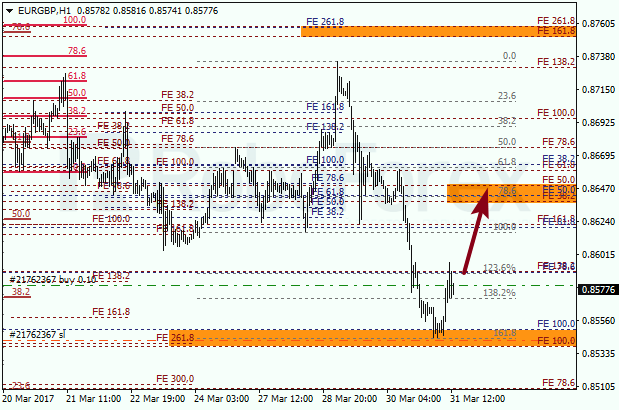 At the H1 chart, the area reached by the price is confirmed by intraday fibo-levels. If the price starts new correction, the closest target for bulls will be the group of fibo-levels at 1.0750 – 1.0740. In case of the EUR/GBP pair, the current correction turned out to be deeper, but, as a result, the price rebounded from the group of local fibo-levels. 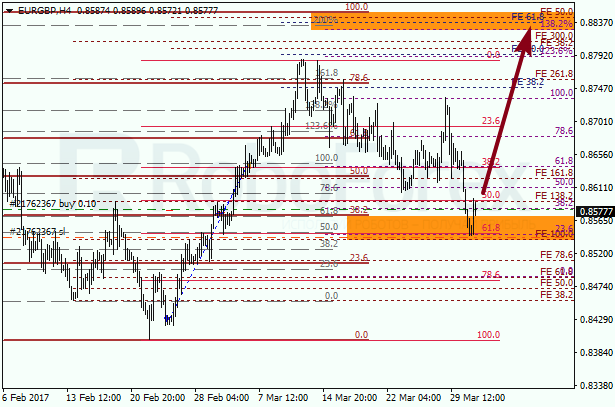 Possibly, the market may resume its growth towards the area at 0.8850 – 0.8830. 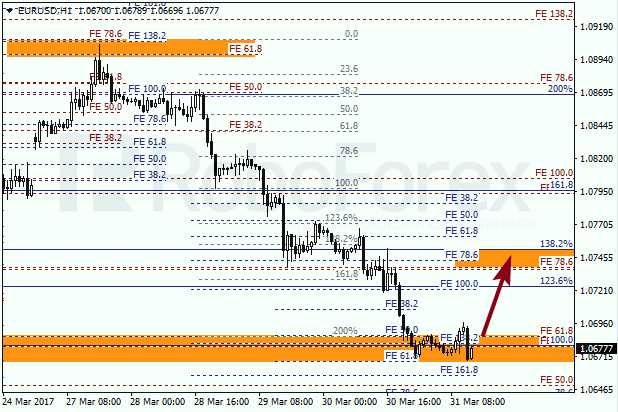 As we can see at the H1 chart, several local fibo-levels provided support. The short-term bullish target is the area at 0.8650 – 0.8640. if the pair rebounds from this area, the market may start a new bearish correction.